You decide that you want to use WordPress for your website, you have several options for hosting WordPress. There are many hosting options available to you, I’m going to cover in this article how you can use the Google Cloud Platform (GCP) to host your WordPress website. I should give you a warning before you read on if you are not technical this article is not for you, as it would require knowledge on how to use command line tools, don’t be discouraged if you have the time and learn from failure then read on. Google Compute Engine (GCE) – Infrastructure as a Service (IaaS) – Hosted VMs where you manage everything, including control of installed disk drives. You have complete control over the VMs’ environment and runtime as you can write or install any program there. In GCE you have to manually configure your infrastructure to handle scalability by using Load Balancer. Kubernetes Engine – A hybrid between PaaS and IaaS – you design your application in terms of micro-services, specify how they’re scaled etc, but let Container Engine (the Google Cloud Platform implementation of Kubernetes) perform the scaling. Google App Engine (GAE) – Platform as a Service (PaaS) – limited runtimes (Python, Java, PHP, Go), very simple to get up and running, auto-scaled etc. You never have to install, patch or configure any software, copy disks, etc. It also offers a robust load and capacity management – automatically spinning up and shutting down instances as required. Cloud Functions – Serverless Applications – is the next level up from App Engine in terms of abstraction – no instances! It allows developers to deploy bite-size pieces of code that execute in response to different events, which may include HTTP requests, changes in Cloud Storage, etc. The biggest difference with App Engine is that Cloud Functions are priced per 100 milliseconds, while App Engine instances shut down only after 15 minutes of inactivity. Another advantage is that Cloud Functions execute immediately, while a call to App Engine may require a new instance – and cold-starting a new instance may take a few seconds or longer (depending on runtime and your code). This makes Cloud Functions ideal for (a) rare calls – no need to keep an instance live just in case something happens, (b) rapidly changing loads where instances are often spinning and shutting down. Which GCP service to choose from, except for Cloud Functions the other options are solutions which allow you to host your applications in the cloud. It comes down to how much work you are willing to take on. The more control you decide to take, the more work you have to do but the more precise tuning (and flexibility) you get. Google App Engine saves a lot of time that can be better spent improving your own apps or otherwise making money. In the remaining part of this article, I will focus on how to set up and to deploy a WordPress site to the Google App Engine flexible environment. Google App Engine comes in two environments, “Standard” and “Flexible”. Google App Engine (Standard) is like a read-only sandboxed folder where you upload code to execute from and don’t worry about the rest (yes: read-only). App Engine Standard supports “scale to zero” – if your app isn’t getting any traffic, it can be completely dormant. Google App Engine (Flexible) is in fact like a whole file-system (not just a locked down folder), where you have more power than the Standard engine, e.g. you have read/write permissions, (but less compared to a Compute Engine). In GAE standard you have a fixed set of libraries installed for you and you cannot deploy 3rd party libraries at will. In the Flexible environment, you can install whatever library your app depends on, including custom build environments. Create a second-generation Google Cloud SQL instance. 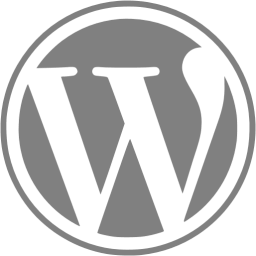 Configure a simple WordPress site. A great resource is the Google Cloud Platform Pricing Calculator, here you can calculate the cost of using Google Cloud Platform. Create a new service account. Download the JSON key file and save it in a secure place on your laptop. Install and initialize the Cloud SDK – read details on how to install and configure. Download Cloud SQL Proxy and make it executable. Also, add the location of the Cloud SQL Proxy executable file to your environmentPATH variable. Install a MySQL client – My preferred MYSQL client is MySQL Workbench, which I’m using for the WordPress deploy. The port is already in use, you either have another Cloud SQL database listening on that port or you have a local MySQL database listening to port 3306. I had that problem as my MAMP environment on the laptop was active. Just shut it down. The first step in MySQL Workbench was to create a new connection. Fill in the details of the Google Cloud App Engine SQL configuration, hostname, port and username. , that you have already created., in a previous step. Into your query window in MySQL Workbench, as shown in the image. You could hit execute and the database is created, a user is created. The -d parameter specifies the location of your WordPress project on your laptop. It’s important to keep WordPress, plugins, and themes up to date. You can keep these items updated by using the wp tool. After an update, you need to re-deploy the WordPress project. For the next steps to work, you need to have the WP-CLI install, to manage your WordPress from your command line. If you do not have WP-CLI installed, you need to install the WP-CLI if you want to be able to update WordPress. This will download and extract the WP-CLI files to the directory you are in. You could also move the WP-CLI to the global bin directory, and rename the file to WP, then you can use the WP command in any directories that you are in. The easiest way to eliminate billing is to delete the project you created. If you used an existing project, you’ll also delete any other work you’ve done in the project. You can’t reuse the project ID of a deleted project. If you created a custom project ID that you plan to use in the future, you should delete the resources inside the project instead. This ensures that URLs that use the project ID, such as an appspot.com URL, remain available. If you are exploring quickstarts, reusing projects instead of deleting them prevents you from exceeding project quota limits. If you don’t want to delete your project, you can reduce costs by deleting the non-default versions of your app. In the Cloud Platform Console, go to the App Engine Versions Page. Click the checkbox next to the non-default app version you want to delete. Note: The only way you can delete the default version of your App Engine app is by deleting your project. However, you can stop the default version in the Cloud Platform Console. This action shuts down all instances associated with the version. You can restart these instances later if needed. Click the Delete button at the top of the page to delete the app version. If you find the content useful, I like to hear from you, please comment below or you can contact me through the contact form. 1.Also add the location of the Cloud SQL Proxy executable file to your PATH environment variable. – Where do I do this? 2. “Cloud SQL Proxy”. I always get “invalid json file no such file or directory”. I’ve tried full path, relative, quotes, no quotes. Im lost. Your WordPress site is still a dynamic website when hosted in the Google App Engine, with your content stored in the CLoud SQL, everything you can do today as a content creator you can do when hosting with Google App Engine. What is different is the server environment that you hosting on, as you pointed out you update themes and plugins on your local environment, and push that to the Google App Engine. The server specifics are taken care off by Google, you don’t need to worry about keeping the server software up to date, Google does that for you. Google also make sure that your WordPress site scales over multiple servers depending on your peak traffic to make it work smoothly under all traffic conditions. Fees are charged for additional storage, bandwidth, or instance hours required by the application. App engine takes away the need to manage your own hardware and all that comes with that. I have not tried to run woocommerce on App Engine, cannot give you a concrete answer. In principle, you should be able to run WordPress with Woocommerce on the App Engine.